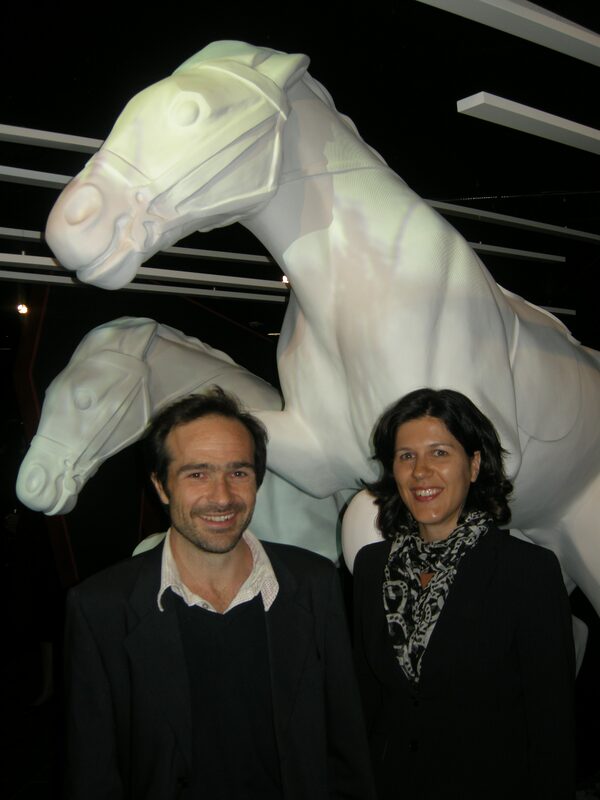 Then people say, ‘How come you were invited to the launch?’ There are two possible explanations: 1) We were invited because of the nice coincidence that we have written a warhorse-themed show. 2) One of the curators used to play hockey with Robbie. It is, unsurprisingly given the quality of people Robbie plays hockey with, an excellent exhibition. There is a game of Horse Guess Who? and a leopardskin saddle. 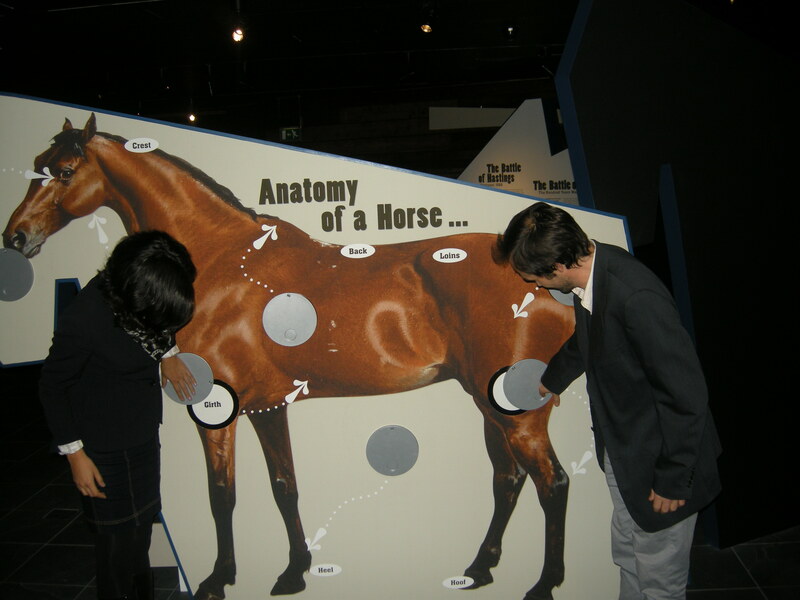 There is also a game of sort of pin the tail on the horse, which Marie won because she is by far the main team horse expert.